With years of experience as a manager in the fields of healthcare and legal practices, performance-oriented leader Mary Toomey is specialized in business development, management and coaching of Small and Medium-sized Enterprises. She has a naturally sunny disposition and “can-do” approach, while honesty, integrity and excellent interpersonal skills are among her most important attributes. While finishing her Master’s at National University of Ireland Galway, Mary Toomey was already involved and working as a services supervisor at UCD Michael Smurfit School of Business, in the areas of facilities management, technical services, exam and event support, security and customer service, while leading a team of nine staff and contractors. Having functioned as a manager and administrator in various businesses for several years, Mary went on to fill a position at HRBR. Originally hired as a PA to a fledgling company’s Director, her role grew exponentially and soon involved all aspects of the business’ day to day operations; from managing the clinical and surgical diaries and all administration for the company to actively marketing the business. During her two years at HRBR, the company grew from 4 employees to a team of 30, established an internationally acclaimed reputation, and expanded to include new-built 7,500 sq. ft. offices – over ten times the size of the original footprint. 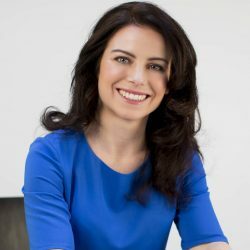 Mary Toomey went on to pursue a career as a practice manager at the Carlton Clinic in Bray, Co. Wicklow, working with and guiding the Partners of the Clinic, establishing strategic business plans, annual budgets and talent management plans for the clinic. The success achieved in these areas defined Carlton Clinic as the core Primary Care Team for the North Wicklow area which now has plans of expansion in the near future. Before stepping down as Practice Manager, Mary led The Carlton Clinic to win a runner-up Crystal Clear award in 2013 and GP Practice of the Year at the Irish Healthcare Awards 2014. Financial reporting, marketing, human resource management and health and safety were aspects of Mary’s very diverse and hands-on role in the company. In her present position as a Practice Manager for Hanna Moore & Curley, Mary runs the day to day operational management of a boutique European Patent & Trademark Attorney office with specialist interest in the areas of high technology, software and medical devices. Her role involves recruitment and selection, training, employee performance management, and managing reward. She also participates in strategic planning and business development for the business, and manage their marketing efforts. In 2010, Mary founded her own company, PracticeManager.ie; A free information and education resource designed specifically for primary care staff. Her company provides coaching and consultancy services as well as regular lecturing and training events. Capable and reliable, Mary is a performance-oriented leader with a wide skill-base, strategic commercial outlook, and excellent attention to detail. She has a broad spectrum of managerial responsibilities and can deal adeptly with multiple and complex issues to tight deadlines and budgets. As an experienced manager, Mary has a proven track record of developing high-performing teams. She sees long term business objectives, as well as urgent projects, through to completion. She has a naturally sunny disposition and “can-do” approach to problems, while honesty, integrity and excellent interpersonal skills are among her most important attributes. She enjoys public speaking, in particular on ‘soft’ management skills. Mary’s leisure activities include running, reading and writing.